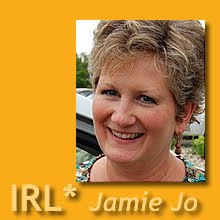 IRL*in real life with Jamie Jo: Is There Some Hip New Way? And don't worry so much about who will care and who won't. That is a dangerous mine field to slog through. Go with as clean a slate as possible and ask the Lord to give you the contacts you need to make. Another thing that I have discovered is who cares; it's not always the people I thought would care. Just relax, be yourself, share your burden for the people of Oaxaca, and trust the Lord for the rest. He will provide. I know that is a "pat" answer, but it's true. I think some people have the idea that we are really holy and don't have bad days. So make sure you share positives, as well as negatives. People need to know your reality in order to pray for you. We don't bring up finances, unless directly asked. That way, we know that it's not us getting them to support us through some kind of guilt trip. We just get together with friends and talk about life here, what we're doing ministry-wise, and answer any questions they have. When we look at it as sharing God's work with others, and not as a push for funds, all the pressure is off. There is no "performance" and God gets the glory when we do see a raise in our support. I hope your time in the States is restful (haha! I know!) and that you'll get to renew some old friendships and make new ones. Enjoy it! What a fabulous response. I hereby vow to avoid that dangerous mine field and go with a clean slate. Such words of wisdom there. Already I am adjusting my expectations and feeling more at peace. I love the idea of making a Facebook "event" and then resting to see who shows up. That's a new one. Thanks for the practical tip. Generally the topic of finances never comes up in a social evening with friends, but I wonder if they fear that it might. Silly once I say it outright. Thanks so much, Lorinda. I really appreciate your friendship here. P.S. 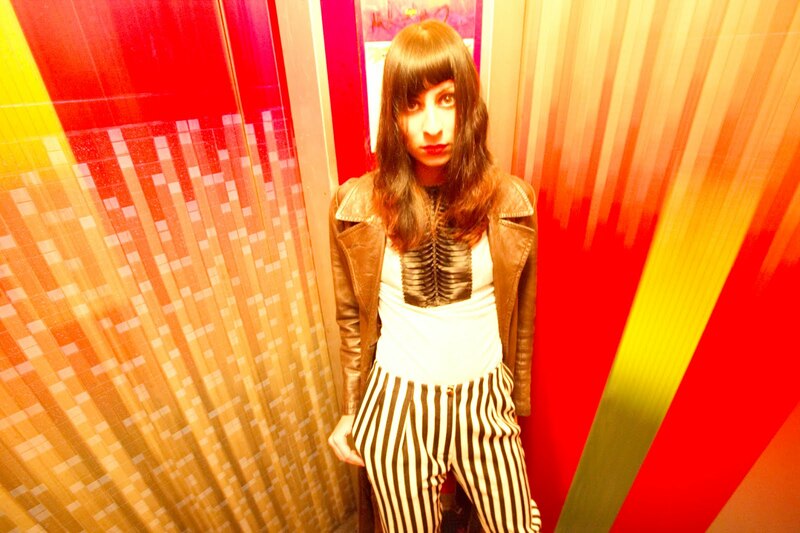 I used to have a pair of blue striped hip hugger bell bottoms just like the picture! Cindy, you do such a great job dressing these things up. At least the stripes ran the right way to make you look slim! I had those horrible plaid ones put on me. ugh! This is so timely for me because I leave in just one week for furlough, am writing a blog post about it myself!!! The busy culture is hard for me too. Right now, I have the opposite problem, each Turkish friend and their mother and cousin want to see us, and I'm trying to get ready!!! But when we go home, people are busy. Letting thing happen as God wills, yes! These pesky expectations are the problem. Thinking this through ahead of time is so helpful, isn't it? I do hope your furlough goes well for you, Olive. Hurray for a hip new idea. I'll try this for sure. It is true that people tend to have time for coffee. Depending on where we stay, coffee houses may be a good option for internet access, too. I'll be praying for your furlough - btw - if you were hanging in Tampa- I'd make time for you! You're hip to me! Friend me on FB and we might just be able to work something out. Either dh or both of us plan to be in Tampa in July. Anyone who thinks I'm hip is worth a cup of coffee! What's been difficult for me is that on the one hand, when I began re-meeting old friends in person after our 2 years away, they knew what my kids didn't eat for breakfast three weeks earlier. But they didn't know why we were back home, where we were living, or that we were going back. Facebook gives us all such a false sense of intimacy that we know the minute meaningless details, but avoid, ignore, or simply don't read the letters that expose the heart and the call. 18months into our home assignment and I still find myself explaining what we did, where we lived, and why - to people who I thought were with us all along on this journey. Be prepared to repeat the same big stories a lot, and for people to have memorized the inconsequential ones. Ha! So true we have no control over what friends actually "get." I know certain stories stick in people's heads effortlessly, and the goofy mundane insignificant things are generally in that category. This is so helpful to think through again. "Facebook gives us all such a false sense of intimacy..." Yes. I face that same sad worry when we go back - does anyone even care? We found it best if we could invite ourselves to one friend's for a potluck picnic, and then let the word spread over facebook and other ways that we'd be at "Jane's" for lunch and the afternoon on Saturday. Another thing we did - perhaps to offset the "missionaries are only looking for money" mindset was help out. We realized that many of our supporters were getting older and we had all this teen boy energy. So when we dropped by at people's houses, we found things to do. We stacked wood at an older lady's house. We even helped a family rip out carpet and install laminate flooring - made for great bonding time! Because face it - between the meetings, we did have free time, so why not help out? At another house, we noticed the snow had half destroyed a shed, so we repaired it. It gave us a chance to give back. It helped us train our boys on some jobs they might not normally get a chance to do, and it helped people to see us as just neighbors who do ministry, not as pedestal dwellers. And people talk more and listen more side by side on our knees installing flooring than they do while we are behind a podium. I'm hoping people need help over the summer and that we are free enough to lend a hand. In the past poor dh and boys have helped a BUNCH of people move. That sounds great. Y'all are giving me hope by the hour here. I understand! Raising support for ministry in this economy is really rough. We made a transition to seeking individual partners when in the past it has mostly been church meetings. We started to feel like the only reason we were contacting people was to see if they would be interested in supporting our ministry. We had to change our attitude, to sharing our ministry and its importance, and let God influence them as to whether to support us or not. We do ask, but without pressure. Many of our friends are glad to hear about our ministry and become our best prayer warriors. It's up to God to influence them whether to support us or not. I need to recite this daily. One thing is that in the past we didn't ever ask, and I think friends assume we have enough. Otherwise how could we afford to "do all this traveling"? Right. At this point I will be happy just to know I still have friends. Such weird thoughts pop into this cold medicine induced foggy brain. Enjoyed the post and comments!! I too have found this to be hard. It has been sad as many of the friends and families I knew never really kept up contact when I went to Costa Rica. It was hard because I wanted them as friends and tried to keep up the communication but they really have never responded. So this was all great advice for when we go full time into the ministry again. I'm enjoying the comments, too. Thanks for adding yours. One thing I might add is that so many people purposely focus on those actively in their lives at any given time. That's not a bad philosophy for life, but it sure hurts for those of us who are seldom "physically present" in their lives. The website says they can ship to a number of countries. Thanks, ladies, for the ideas of how to meet people as well as notify people we are around. The link took me to a different book, but I typed in the name of the book under "search" and I found it. I looked on Amazon, and there was only one used book priced at over $300! Must be one great book! Hopefully soon it will be imported and sold stateside. Thanks for the tip. Smack dab right in the middle of our mini-furlough NOW. And, can I say, it is just hard. People are busy and in their own world here, to be sure... and that is okay, but, yes it can hurt. The longer you are overseas the further many friends get--- I think it is pretty much a given. ...a hip way---I haven't a clue. I am just trying to stick with, "Father, help me to be myself and to remain fully engaged, fully awake and fully present" each day. Hip, I am not. :) (so I could use some help here on this one). I think that God has been inviting me to trust Him with every bit, truly EVERY bit, of my schedule and my time here. To remain in today. And, to trust He will bring along who He wants and to give me just what I need to do each day. ...I don't find it easy, but it is a sweet invitation to walk in Him, trusting Him more. PS. Funding the family business was just recommended to us too.. this is the second recom. Hang in there, Stephanie. I think your cry to the Father sounds right on. I may borrow that as one of my many furlough mantras. It does boil down to trust. That's where I'm at now, too. Jamie I just love your posts. You are hitting this subject right on. I just returned to Ecuador after 6 weeks in the states. Most of that time was focussed on fundraising and trying to connect with supporters or would-be supporters. The advice about an "open house" at a coffee shop is a great one! We tried to do this in people's homes, a church, and a coffee place and all were fairly successful. The open house time line makes it so that you are not overwhelmed with all the people at once...which would mean not being able to connect with most. It is hurtful when people have written the "we MUST get together!" on FB and then they are too busy to meet up with you. But, we found that those who DID show up were God ordained and He blessed us immensely in all ways through the most unexpected sources. One thing that we are trying to practice is to MAKE TIME at the end of the stateside time for us to be alone and regroup before returning to the field. When we have done this (booked a hotel for a few days alone) it has been so helpful. We needed time to rest, be with each other, and turn the "networking - on all the time" switch off. When our kids were at home, we did this as a family, now we do it as a couple. Good points, Sandi. (I miss you, too!) I especially like the one about regrouping before returning, though given our schedule, it's not likely to happen this August. It's hard to not take offense with the "we MUST get together" crowd, but it does bug me even though I know they mean well. "My soul, wait thou only upon God; for my expectation is from him." NO EXPECTATIONS. Preach it, Tammy. Good reminder. We just got back from a great first furlough and look forward to the next one (ok, even though its 3 years away!). We also felt friends were very busy. We made it our job to connect with people and didn't wait to be invited to get together. We have a wonderful supporting church that we feel we can totally be ourselves (sharing the positives and negatives). And though they'd be the ones we'd want to interact with most, we found many friends didn't want to 'bother' us knowing we needed a break, rest, recoup time. They felt they were honoring us and our time. So, we realized we should take the initiative to connect with people. 1. Events - people connected well during an event and more likely to "sharpe marker" it in their calendar and actually attend than to plan a one-on-one get together. We did Saturday morning missions presentations where we had a supporter serve coffee and cinnamon rolls and we provided babysitting. At other times we did potlucks and a ladies tea and an ethnic dinner. It seemed to me that the events were memorable and meaningful to the supporters. They voiced things at the events that showed me they care, they love us, they are proud of us, etc... things that hadn't come up in conversations or in the church foyer up to that point. 2. More social networking - we didn't let down our activity on Facebook. People were paying attention just as much and we could connect with them over Facebook. We had a nice cell phone plan and frequently called and text friends. Again, we felt we needed to show our friends and supporters we're available and wanted to spend time together - we're not still resting! :) Also, we didn't take a break from newsletters and prayer needs. We still were sharing our ministry happening on the field while we were stateside. Some people were connecting better to it after having personally seen us. We too have dear friends that ask, "Now tell me again, just what is it that you're doing? Where? Where's that? When will you be done and come home?" :) ah, it's some precious moments to be able to share with them...and share again. We didn't get our feelings hurt, but we realized they were making effort to connect and that's just where they were at. Also, many friends complimented our newsletters and prayer email updates. When we asked a variety of people what's good about them, all said, "it's concise; to the point." Even as I wish their answer was more inspiring, we feel we must also be culturally relevant in America and to Americans too. This gives me hope. Thank you for taking time to type all this out (and then fighting with the "prove you're not a robot" mess at the end). I'm sure I'm not the only one taking notes here. Wonderfully practical suggestions. I'm not fond of two parts (texting - ack, and concise updates - blah! ), but I will attempt both for the sake of the people of Oaxaca. Did you set up Facebook events for the Saturday morning and potluck meetings and invite everyone in the area, or how did that work? I'm curious. Once there was it all informal or did you give a presentation at the end with a time for questions and answers? It seems what you did worked if you refer to it as a "GREAT" furlough. Nice work! I think it was a GREAT furlough because we felt so loved by our home church. They are really walking with us in life though we are miles away. For the Saturday morning missions presentation, we informed all the folks we knew in the area. This worked well for us because we were able to connect with multiple supporters and churches in the area, churches who had beginning interest in supporting us, and unsaved friends who wanted to hear what we were up to. We had the presentation at our church. We also were scheduled to share during a church service later that month, but we intended a more informal setting. We informed friends through email, facebook and the church bulletin. Events posted through facebook was the least noticed or responded to. Most connected more formally through email. A small percentage of those invited actually attended (which we totally expected). Once there, it was informal. We ate lots of goodies and coffee (and advertised the cinnamon rolls in our email announcement! lol!) and socialized for the first 20 min. We gave our presentation while folks ate more. We shared our usual powerpoint. People asked questions as we went along. Meeting lasted 2 hours. It was a lot like a small group setting...but with alot of people. :) We always offer at the end of a presentation that people can be a part of supporting this mission by prayer or finances. We enjoy saying it in a presentation rather than part of a one-on-one conversation. If God is touching their heart, they'll come be a part. But it's been important to say how grateful we are for the support and that they allow us to be on the field. It's surprising how many people don't know that missionaries rely on partnerships and are supported by individuals as well as churches. They assumed the church 'sent us out' and paid for it all. I can't believe I just read through ALL of this post...including every comment! Wow, I must be relating to it or something, ha! And, yes, I am. We began our 7th furlough 3 mos ago and, guess what, we don't have it all figured out yet! LOL I guess that's prbly b/c "times change". Or needs change or something. My dh cringes to try and raise support. In fact, he doesn't officially try. He has an unwritten rule that he won't outright ask for money...and he never has. Well, with the exception of one time many years ago when he indirectly did ask a certain pastor-b/c said pastor told him to let him know when we had some specific need-and it kind of back-fired! So, never again. Since then, I've observed his answers when people directly ask if we need more support and, even then, he manages to give an answer to make it sound like, yeah, we kinda sorta need it but, hey, we're just tightening our belts like everyone else has to. Can you believe it? Grr. The Lord bless you on your summer furlough. Which state is your "home" one?